The recent strategic alliance announced by two of the UAE’s biggest developers has brought the spotlight on a trend that had otherwise swept the real estate industry in the past few years without much fanfare: joint ventures (JVs). Dubai-based Emaar Properties and Abu Dhabi’s Aldar Properties last month signed a deal to develop Dh30 billion worth of UAE and international projects. It is indeed a staggering deal in terms of size and significance in the industry. JVs as a business strategy are utilised differently from one company to another. For savvy investors who have held plots in Dubai over the past several years, they may now find value in getting into a JV with a capable developer, instead of finding the means to develop the property themselves. 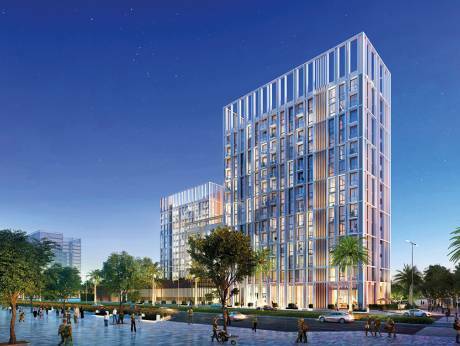 For struggling developers, a JV is most beneficial as the Dubai Land Department (DLD) has implemented strict off-plan regulations that have made it tougher for players who do not have firm financial footing to build on their own. For many smaller and struggling developers, JVs could be the difference between survival and extinction. Last month, the DLD added an extra layer of protection for buyers purchasing off-plan properties by requiring Dubai property developers to put 20 per cent of the total project value in escrow upfront before they can begin work on their project. The previous regulation required 20 per cent of construction cost as bank guarantee. In addition, developers have to pay all the expenses related to the land and should have the land under its name. With all these requirements being mandatory to start construction, the market is expected to see both the landowners and the developers who have the real estate development expertise to view JVs as an attractive structure to share the overall cost of the project with a business partner. Property experts believe JVs will become a driving force in the market, ultimately creating more real estate activity in the years to come. He clarifies that JVs are not new in Dubai’s real estate industry, noting that real estate JVs have been forged since 2009, although now he expects to see them more frequently, even among smaller players. Apart from Emaar’s partnership with Aldar, Merchant cites another recent example of a big joint venture between Meraas Holdings and Emaar, who have collaborated to build Dubai Hills Estate, one of the largest master-planned communities in the city with 4,400 villas and town houses and some 22,000 apartments surrounding the golf course. He adds that the JV is often based on profit sharing or square footage sharing ratio, wherein a certain percentage goes to the person that owns the land and the rest is taken by the developer to. Merchant points out that some developers are now also looking at angel investors as early stakeholders in their projects. These investors commit to putting in a specific investment. For instance, an angel investor could invest an amount equivalent to 20 per cent of the project value, which will cover the escrow requirement and allow the project to move ahead. “These investors are offered a value deal that is often lower than market valuation, and they become part of the project from start to end and will get a specific part of it that can be divided into some floors, units or wings based on their investment proportion,” says Merchant. Another structure is the build-to-operate method, wherein master developers offer land on a minimal long-term lease contract to build a school or a hospital. However, only very few players specialise in building schools or hospitals. “For the private clinics and other health care requirements, playschools and nurseries, usually the developer creates a retail area as community centres and offers spaces for lease or sale,” adds Merchant. Rajshekar says bringing in a professional real estate broker at an early stage will further strengthen the joint venture. He says the property broker can help both parties work on the legal framework and educate them about the current trends and challenges in the market.